Journaling is not just for creatives. It’s not “woo woo.” It’s a tool for anyone who wants to think strategically. 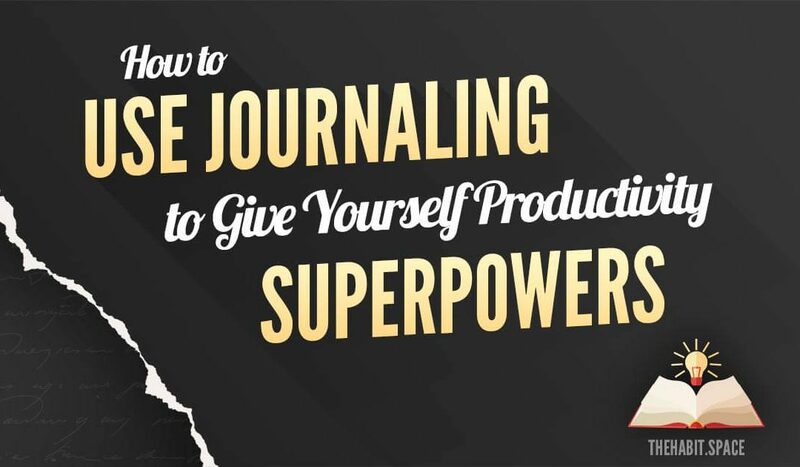 If you do it right, journaling is a tool for mind control — on yourself. Want to stop with negative self-talk? Use journaling. Want to stay focused on a long-term project? Use journaling. No, don’t just “sit down and journal” and hope that it helps. Sure, that’s allowed, and it will help in a general kind of way. But you can also be very strategic and intentional with what you journal about. Want to use journaling prompts? Do it. But here’s an idea: don’t use just any prompts. Instead, use the prompts that will help you do the thing you want to do. Use the prompts that will control your focus in how you want it to be controlled. 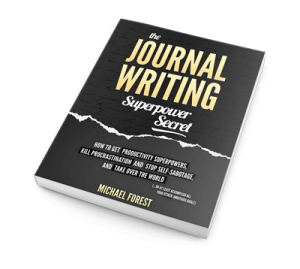 In this post, I’ll discuss two specific strategies — intentional journaling daily prompts and what I call “mini sprints” — as well as a bunch of resources to get started today. I like to use Daily Gratitude (e.g. “3 things I’m grateful for”), plus a few prompts that reiterate my goals and help me work backwards from the long-term goal to what I need to do today to make them happen. Other things I like to use are affirmations (though you have to be careful with these — there’s researchs hoing if you don’t “believe” an affirmation it can make you feel worse), as well as reitering longer-term goals, and spending some time organizing my most important tasks for the day. In other words, what are the 1 or 2 things that need to get done to make the day a win? Figuring out your most important tasks first thing in the morning makes it FAR more likely you’ll actually do them. Also, if you figure them out at the same time as you’re thinking about your long-term goals, you’re likely to choose tasks that will take you where you want to go! All of these journals are great if you don’t know where to start. Having a structure just “ready-made” for you makes things easy. Beyond that, pretty much all of them have free PDFs showing you what their daily structure is. You can steal, pick and choose the elements from them that you want in order to create your own. However, after the daily stuff, you might also need to “dig into” certain specific elements of your mind or brain. Sometimes the daily prompts won’t cut it. Someimtes you just feel “blah” and need a pick-me-up, or even just a mental slap on the rear-end! That’s where you can add in “as-needed” exercises or mini sprints. 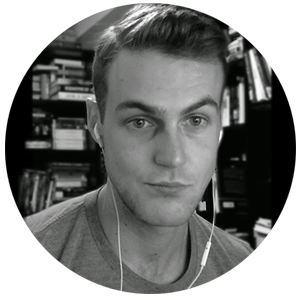 Using our “well my long-term goal seems really far off” example, I like to use an exercise where I link an Action to the Goal or (going the other way) a Goal to the Action. Write about a specific action that doesn’t feel very exciting, but which you know you need to do. Write out the goal in a simple sentence. Then talk about the goal, re-hash why you want it, and finally, how the action will lead to it. Insert one or two small actions you can do today to make it happen, and which will make the goal seem more real. You can make goals feel more concrete. You can emphasize the things you’re doing today to make them happen. You can dig into fears, negative associations and limiting beliefs you know you need to deal with. You can dig into your weaknesses, but also your strengths, and then write about or brainstorm how to leverage them, or even how to leverage them today. Exercises can take the form of a few specific prompts, or they can be more creative. One exercise I like I call “Affirmation Expansions,” which is just taking a single affirmation and expanding it, and expanding it, and expanding it… There are no prompts, you just take one affirmation and go with it. A Mini-Sprint is a series of prompts done over a several days. I like doing them over three days to five days. Some things just take longer and require more prompts. For example, if you want to “figure out” your life goals, maybe instead of just jumping in, you should spend some time figuring out your priorities. Maybe after brainstorming your goals you should spend some time going through them and prioritizing them, and figuring our which ones you’re actually going to go after right now. Oh, and not to mention that maybe you should spend sometime planning how to do this. It’s helpful to let your brain “stew” on some ideas, sometimes. So on the first day of a spring you do a vague brain storm about problems you have, and then you let your brain stew on it for 24 hours before you come back the next day and fill out some prompts that dig into how to deal with these problems. I won’t lie. I’m really interested in this stuff. I’m so interested in it that I wrote a whole damn book on it. If you want more journaling prompts, blueprints, structures, and exercises, as well as some of the weirdo “theory” and brain stuff behind these ideas, buy the book. Read it and let me know what you think and (this part would be more interesting to me) let me know how it’s helped you and/or what you’ve used from it.